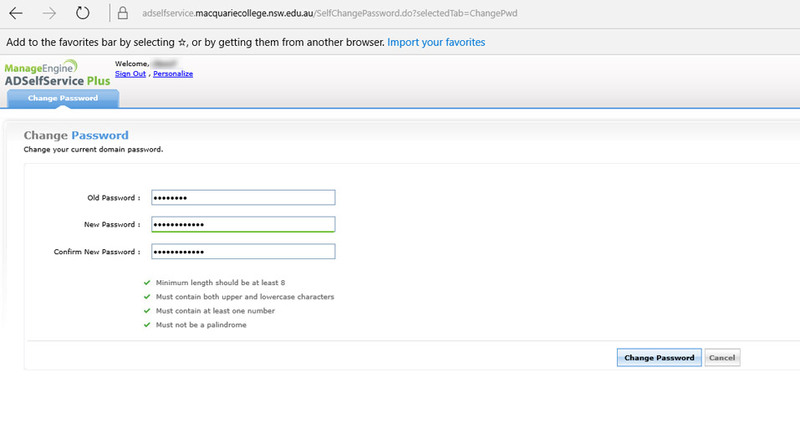 You can change / reset your password using the MC Web Password reset site. Please note that the password must comply with the following requirements. 2. Enter your User Name and current Password and then select Login. 3. Enter your Old Password and then Enter your New Password and Confirm your New Password. 4. Select the “Change Password” button. 5. 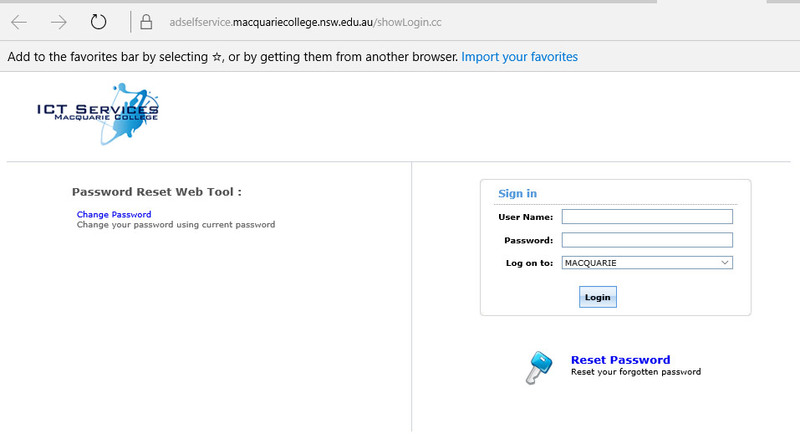 You can now login to your MC Accounts using your new password. The Information and Communications Technology team provides ICT services for staff and students via email, telephone or in person at the Service Desk, Level 2 Administration. If you encounter any difficulties with any of the guides on this site or would like further information please contact the ICT Service Desk.